Based on valuable user feedback, over the last week or so we've been making a number of improvements to the ping services as part of ongoing enhancements to the service. 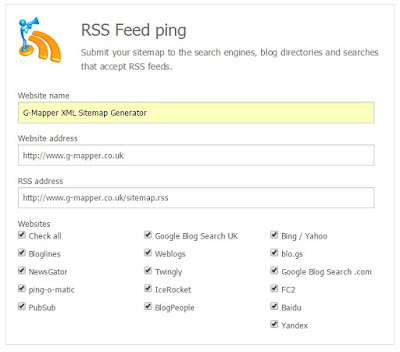 Some users experienced problems with the ping form not being automatically populated after generating their sitemap. 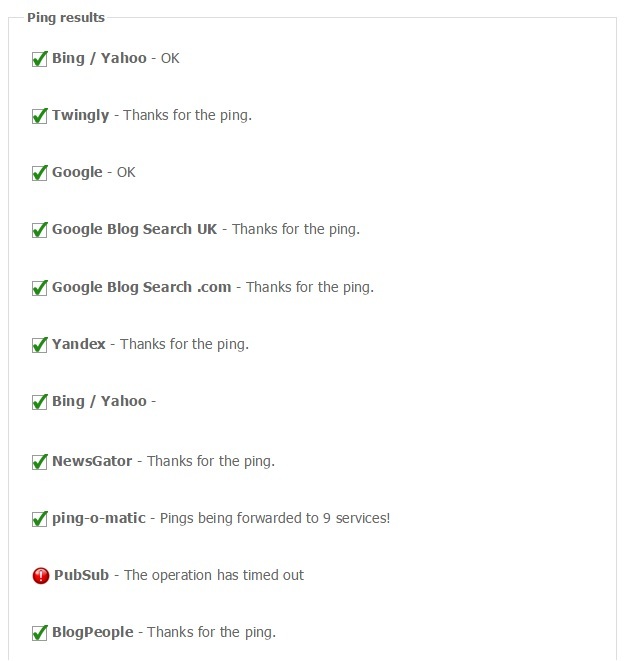 We've resolved this so that it now shows all the details about your website ready for pinging. 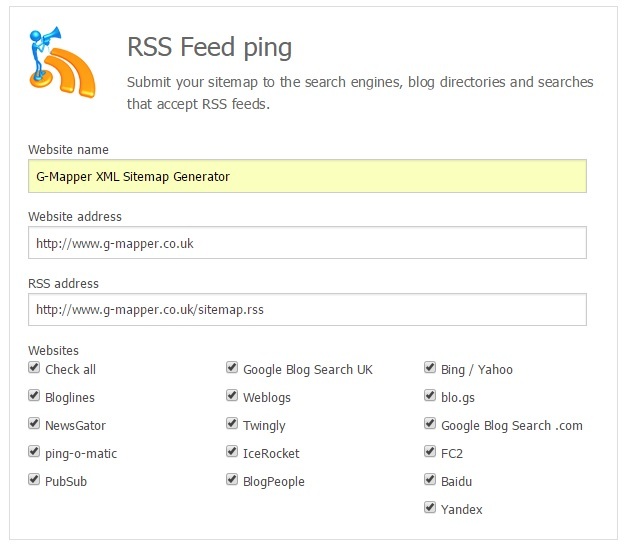 The form will automatically include website name, RSS and XML Sitemap urls. 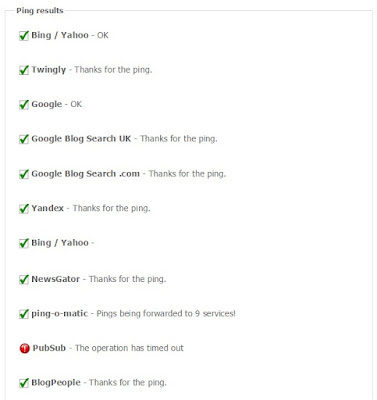 Just select the services you want to ping and off you go! As well as this we're making ongoing improvements to performance and reliability, in particular in this release trying to avoid situations where the service would wait indefinitely for a ping service that had not responded or had failed. You'll also notices some slight improvements to the results page making it a little more aesthetically pleasing and easier to read. We've also fixed some of the validation problems which prevented you using certain domains and filenames. As well as updating the sitemap ping service we have also simplified and resolved some issues with the donate buttons. We hope these improvements improve the overall experience of using our sitemap generator and of course please stay in touch and keep your feedback coming.